How do I get my designs created? Not every customer is a designer and a good majority of our clients use our graphic design team to bring to life the creative work for their projects. This is part and parcel of the Kaizen service. Not only do we bring you high quality printing but we have award winning designers here to bring your marketing and sales materials to the next level. We work with some of the best known brands worldwide and have helped with some of Northern Ireland’s own success story businesses by creating strong brands that help them become bigger and better with every project they undertake. It’s our mission to help your business grow. As you grow, so do we and that’s what matters most. 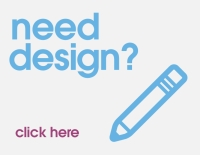 Getting your designs created is super easy. The first time we work with a client, we usually request a face to face meeting. Understanding your brand and the direction you are taking is paramount to the success of any campaign. We’ll ask about your business. What products and services you sell and who your ideal customer is for this campaign. Other than that, we’ll ask about the brands you like and dislike as this gives us a really great understanding of your own personality and what your own focus. Finalised and proofed content including your contact details. You’ll be amazed at how often someone misplaces a digit in a telephone number or a letter in an email address. After that we’ll work out a quote for the design element of your project and following acceptance of this, we’ll get started right away. An average design project can take 3-5 days, sometimes sooner. If you're in a hurry or deadlines are fast approaching, then we can certainly do our utmost to help. If popping into the office doesn't suit, we have the ability to video conference with you to run through the above plan. We’ll ask a number of questions and the more information you give us by return will ensure you get the best design possible for your brand. If you want to schedule an appointment with our design studio, then please get in touch via the contact form or call us on 028 9002 2474. Our team of 6 designer are here Monday to Friday and between them have an unrivalled experience in designing for all business sectors. Finally if you want to check out some of our latest work you can visit http://kaizenprint.co.uk where you can see a sample of the projects we have worked on recently. Let us know what you think and leave us a message if anything interests you.